When this client booked with me I was free all around her due date except for one day… I had to go home for a family wedding. Well it just so happens she had her baby that day. Good news is I had an awesome back-up photographer on call for that day so those beautiful birth photography images were not missed. Bad news is I didn’t personally get to see this mama during her stunning labor. 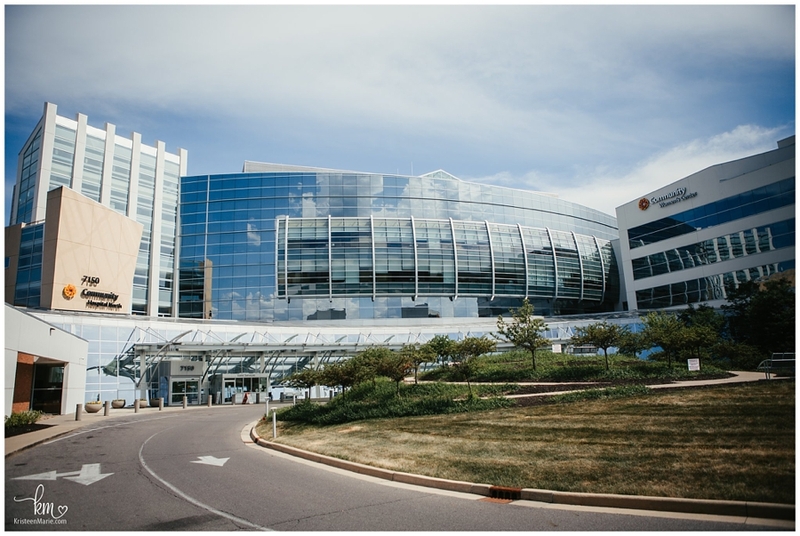 But I did edit and deliver the images to the client so I know it was a perfectly beautiful labor and delivery. For privacy reasons I won’t be sharing the birth images but I think you NEED to see the Fresh 48 session. 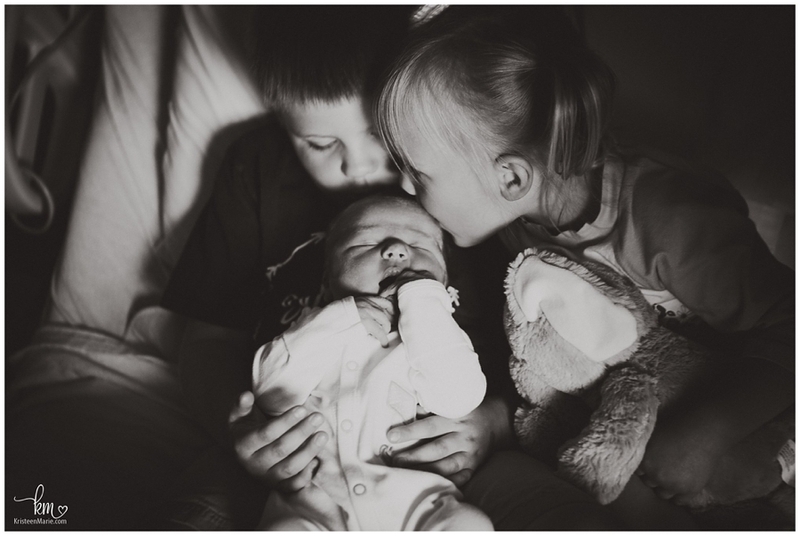 These guys have a stunning family and this little guy is SO loved by so many already. Here are just a small sample (seriously their Fresh 48 sessions gallery was over 120 images!) of the session. 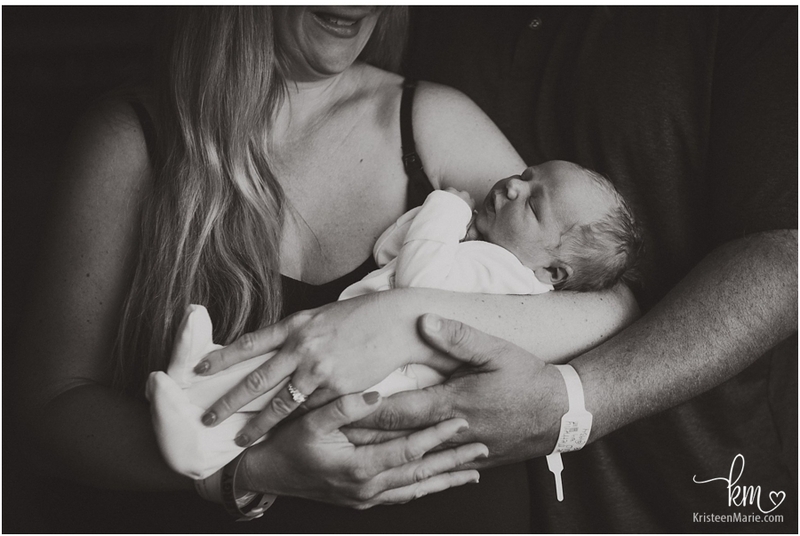 This in-hospital newborn session gives me all the feels and makes me want a big family more then anything!!! 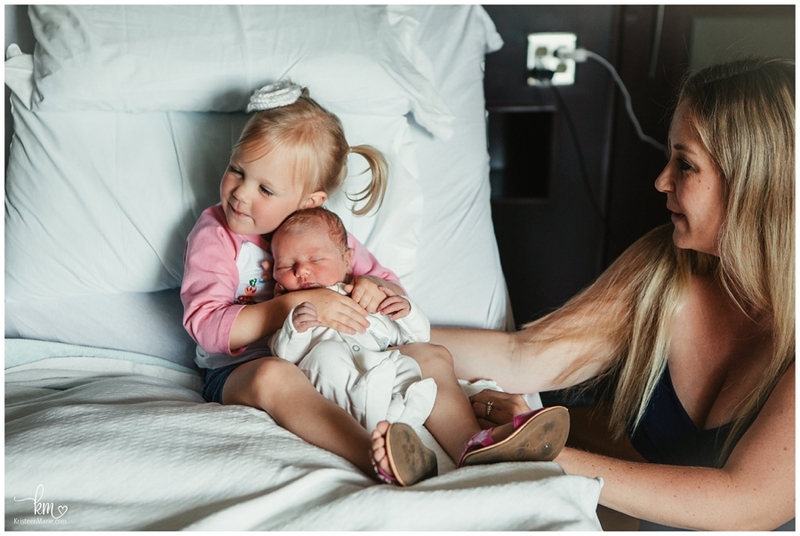 Both big brother and big sister were both excited to meet their new sibling (who was nameless during this session). 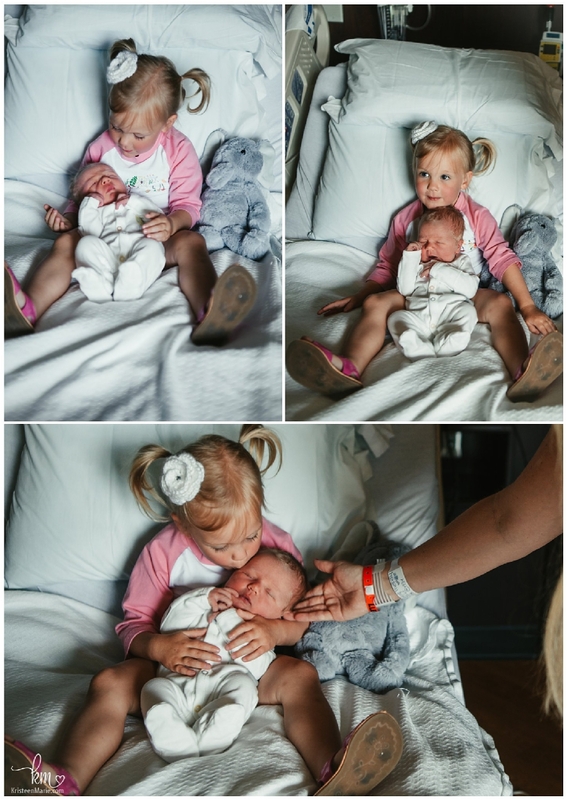 But my favorite reaction was big sister and just how much she wanted to hold and love on her new sibling. She even sang happy birthday to her sibling at one point (see the video at the end for that!). It was all a joy to watch and capture! Ga! I adore Fresh 48 and birth sessions but this session makes me fall in love with them all over again! Bring on the babies, please!! 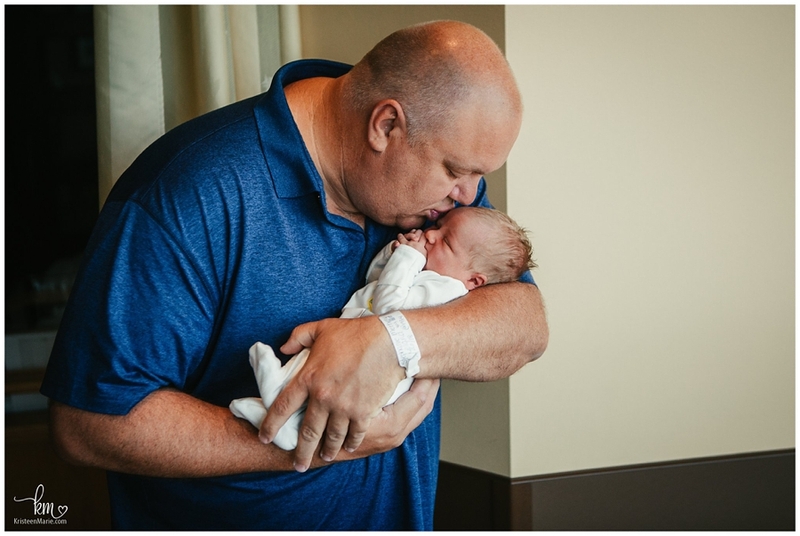 Let me know if you are interested in Indianapolis birth photography. 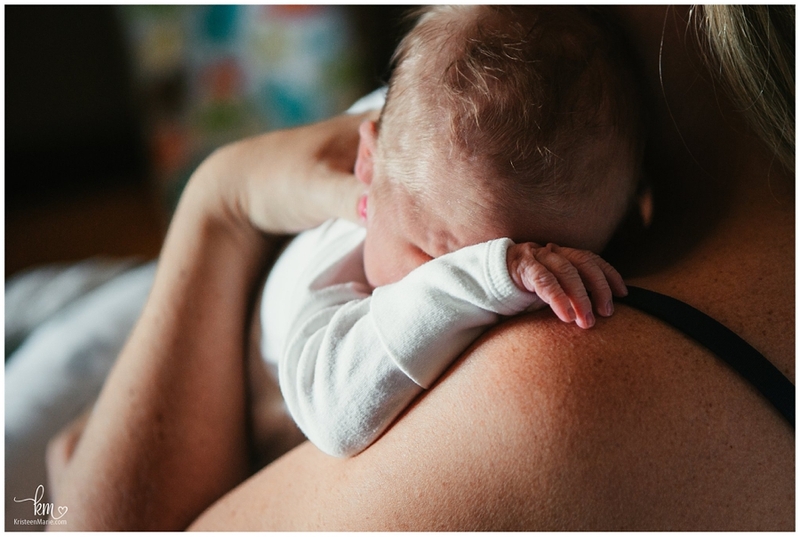 I would love to see if birth photography would fit into your birth plans.